Giving successful presentations is all just wanted for everyone who wanted to go to next level and earn good credits. Starting from a student in college to professional in corporate sector, they must do a presentation about their project, explain to their potential investors respectively and much more. And a good presentation ensures to communicate a vision or an idea to its best. A professional working in a corporate sector, for example has to be very best in his presentations as to show his superiors and the investors, clients that how much you value for the company. And how much your skills and abilities are useful as a member, to take your company to next level. And the responsibilities of the professional than a student are much more while delivering his presentations as he is dealing about his job status and big money. 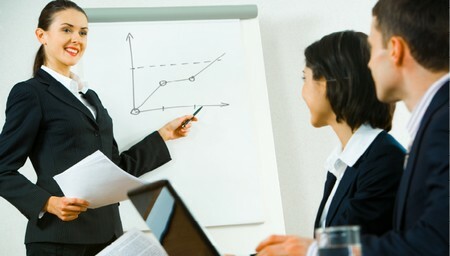 And you must follow these steps for delivering a successful presentation. The first and foremost thing is that you show know well about the topic, as much as possible. Study about your topic well, search through internet, and get touch with all the related articles and sayings about the topic. As the presentation is just about the particular idea or concept, you must know about all the ins and out of it. And you must have done necessary research about the topic. And doing home work will sound better. And don’t just give an oral presentation, as people might always don’t like it and can listen you every second. Instead go for a visual presentation. Your presentation slides must be simpler and don’t write stories in slides. For each slide, just give few lines and give only 4 to 6 words per line. And limit the lines to 3 to 5 per slide. Don’t use animations and unnecessary pictures in your slides which might distract your listener. Remember they must be hearing you, more than just starring at those slides. You are preparing slides to aid your speech and not to distract anyone. And making a visual presentation has a greater advantage of not carrying pieces of hints for your speech, as you can look up to your slides and speak as well. Now after stepping up to the stage and started your speech, talk in a normal tone and be clear in your speech. Don’t be always monotonous which will make the listeners to sleep. And do express yourself to the full extent of content and give time for pauses. And do have a question and answer session at the end of your presentation which makes it interesting and much interacting to your listeners.